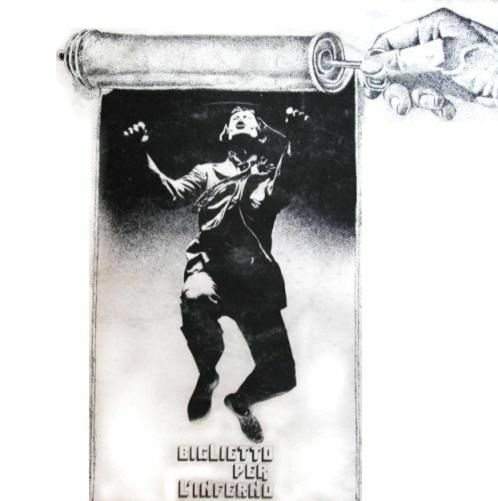 Born in 1972 in Lecco, in northern Italy, from the ashes of Gee and Mako Sharks, Un Biglietto per l'Inferno are still regarded as one of the most influential Italian prog bands, despite a single LP release, their magnificent eponymous album from 1974. 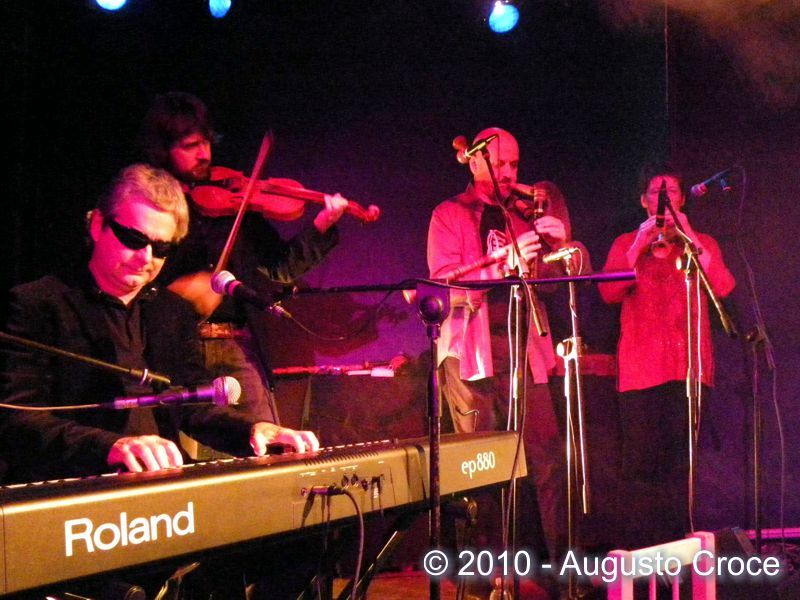 The band had an intense live activity, that took to a very powerful sound driven by the twin keyboards of Banfi and Cossa and the lead guitar of Mainetti, with flute intermissions by singer Claudio Canali. The album is a masterpiece, its hard-rock based sound being perfectly enriched by keyboards and flute, and the lyrics are strong and effective. The five long tracks are all very nice, and the album is worth its high price. 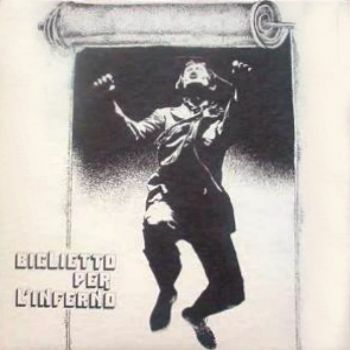 Two tracks, Una strana regina and Confessione were also released as a single, the latter in an instrumental-only version, with the same cover design as the album, the classic picture of jumping singer Claudio Canali, taken by Caesar Monti. 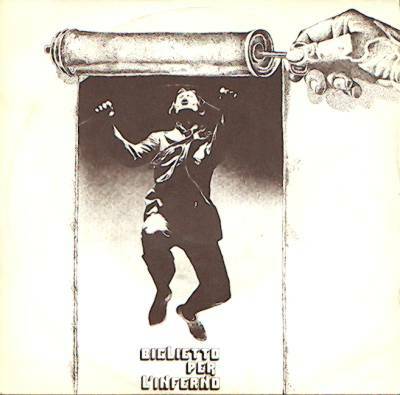 A second album was recorded and ready to release under the production of Eugenio Finardi, as was a single taken from it, and the band was even in touch with Klaus Schulze, but the Trident label's end brought Biglietto per l'Inferno to split after some concerts in Italy and Switzerland at the end of 1975. 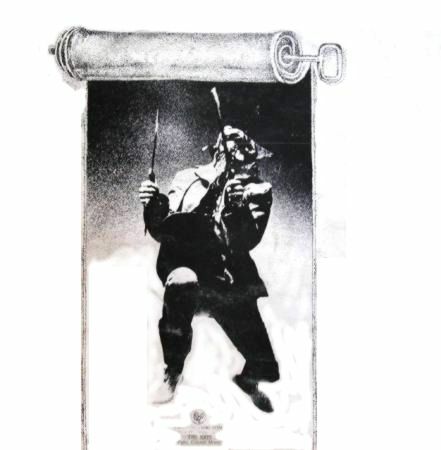 The album had a limited circulation among fans as a bootleg tape, and only gained an official issue in 1992 on the Mellow label. 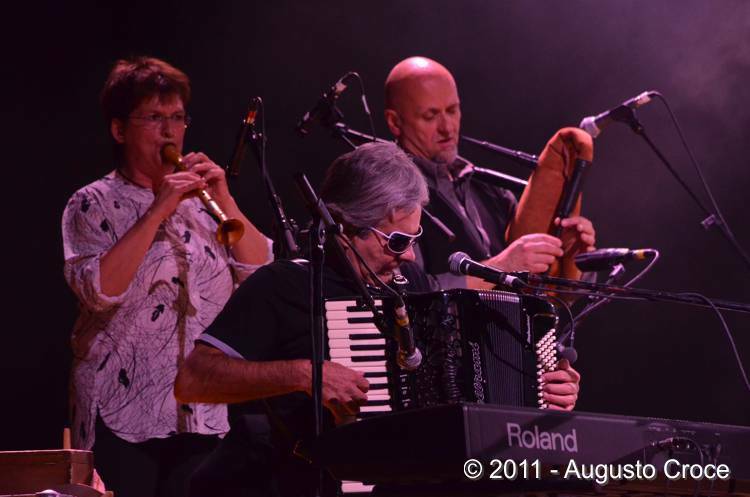 Of all the band members only keyboardist Baffo Banfi had a relevant solo career (as J.B.Banfi) with three solo albums in a cosmic vein between 1978 and 1981 (the last two of these came on Klaus Schulze's IC label), while drummer Gnecchi has played in jazz groups and collaborated with PFM guitarist Franco Mussida in his first solo album Racconti dalla tenda rossa, from 1991. 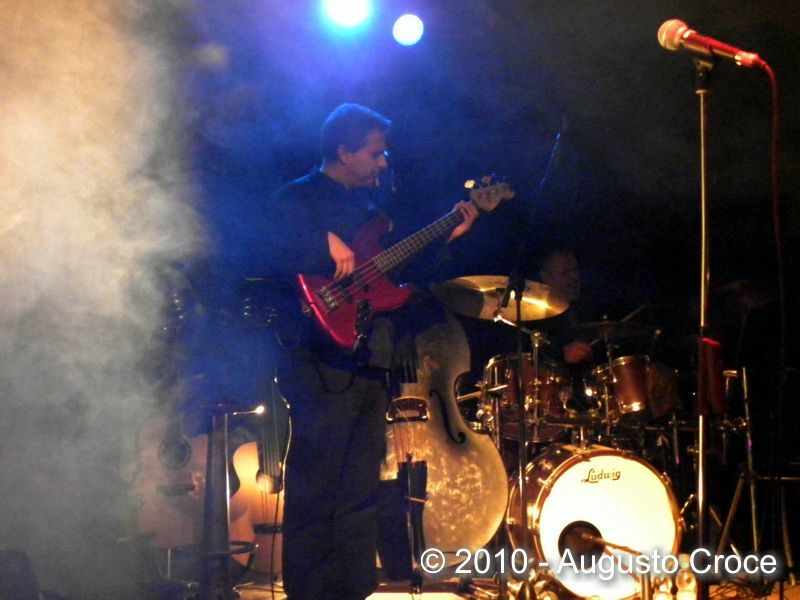 Singer Claudio Canali has become a friar, unusual choice after the strong dialogue with a priest in the lyrics of Confessione, and passed away in 2018. 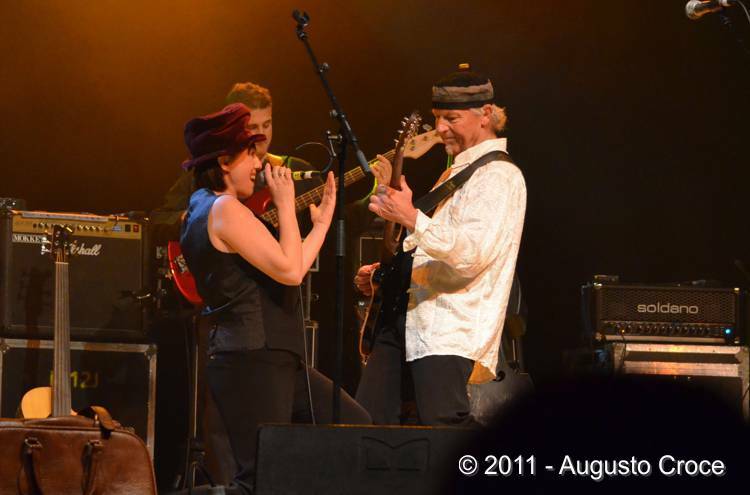 In early 2004 a nice box set was released to celebrate this group, including CD remastered versions of both official albums, a third CD with a live recording from 1974 and a bonus DVD including some video tracks of band members, interviews and audio cuts. 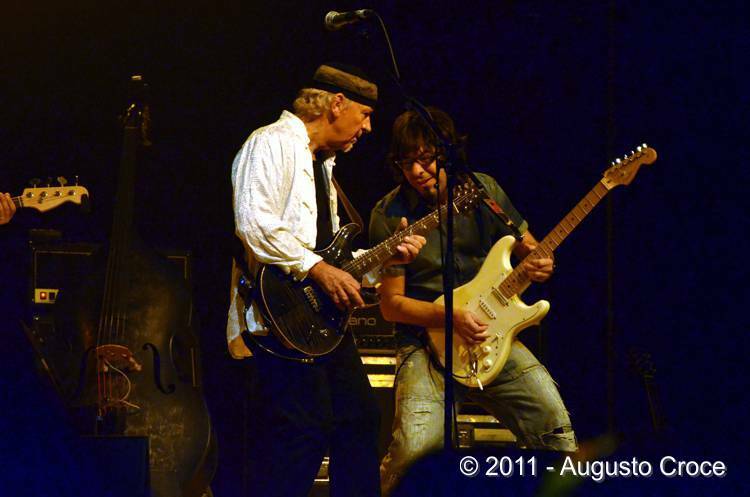 Furthermore, a nice book with pictures, lyrics and interviews. A great product, and the first box set ever released to celebrate an Italian prog group! 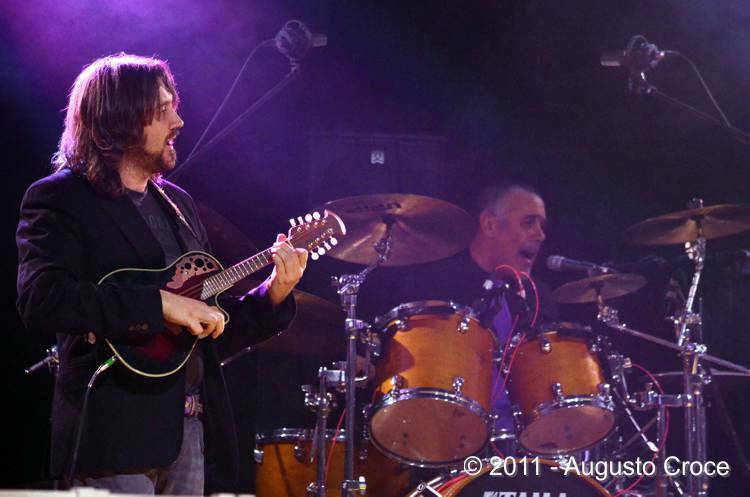 In 2009 two of the original members, Giuseppe Cossa and Mauro Gnecchi, under the production of Baffo Banfi and with help from other musicians, released a CD as Biglietto per l'Inferno.Folk, including very nice reworkings of old compositions of the band. 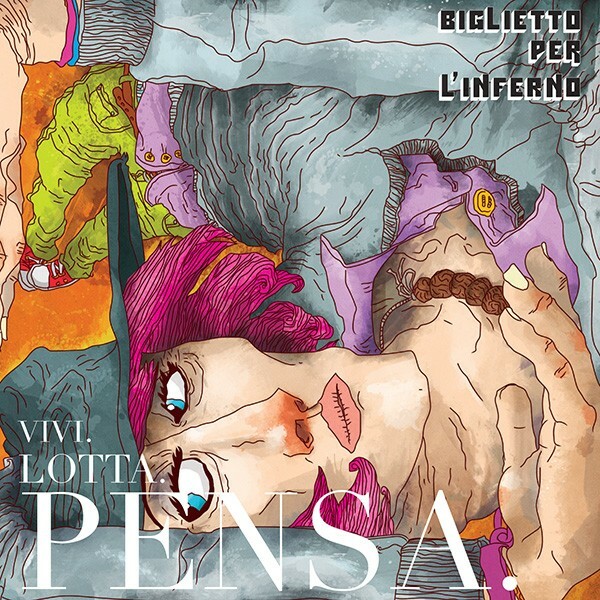 This group also released a new record in 2015, Vivi.Lotta.Pensa returning to the classic name of Biglietto per l'Inferno, supported with an intense live activity. 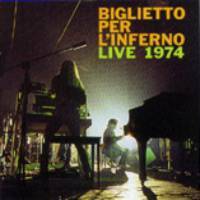 Biglietto per l'Inferno has always been regarded as one of the best Italian prog albums ever, and for this reason is very difficult to find. 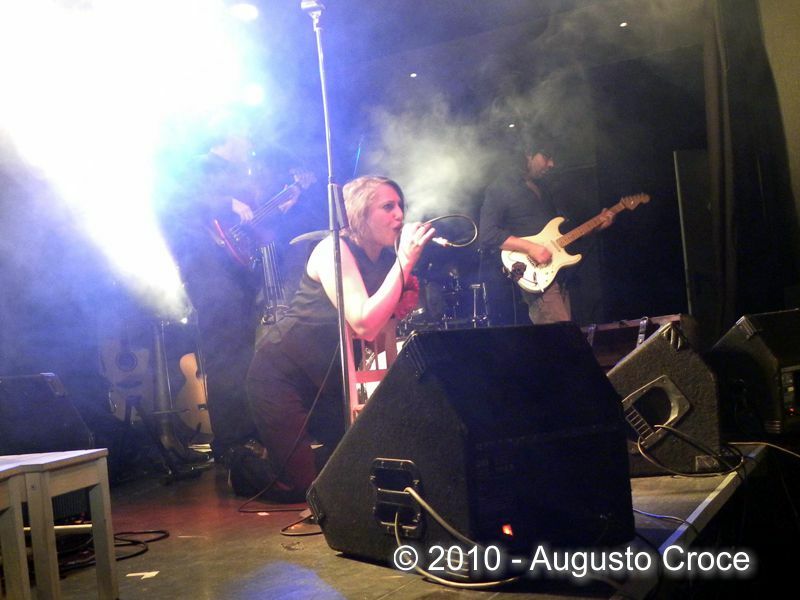 Early promotional copies of the album contained a release sheet with information on band members. As many of the Trident label releases, this was counterfeited in the late 80's, a very similar issue to the original but easy to identify if you know its distinctive elements. See the Trident page for details and avoid buying it if you're not sure. Some dealers' descriptions don't help at all!!! Some original copies exist with large "second type" SIAE stamp, of the kind used between 1975 and 1978. These can easily be stock copies which were stamped and put on sale later when discovered in some warehouse, but are definitely worth the same as an original copy and surely to be considered as legitimate first pressings. The album also had a vinyl reissue in mid 90's, some of these copies are still easy to find in Italian record fairs at low prices, but be warned if you don't know where to look at!!! The cover of this reissue is on a rough cardboard and the jumping man picture looks bigger, with the hand on the top right corner missing.. The name Biglietto per l'Inferno is on the left side of the cover and slightly bigger than the original one, that was on the bottom side of the cover. The back cover contains the song titles that are not on the original. These reissues also had a negative colour Trident label, with black writing on white background. An official vinyl reissue has finally been released in 2005 by BTF. All the CD issues of the first album include a slightly shorter (approx. 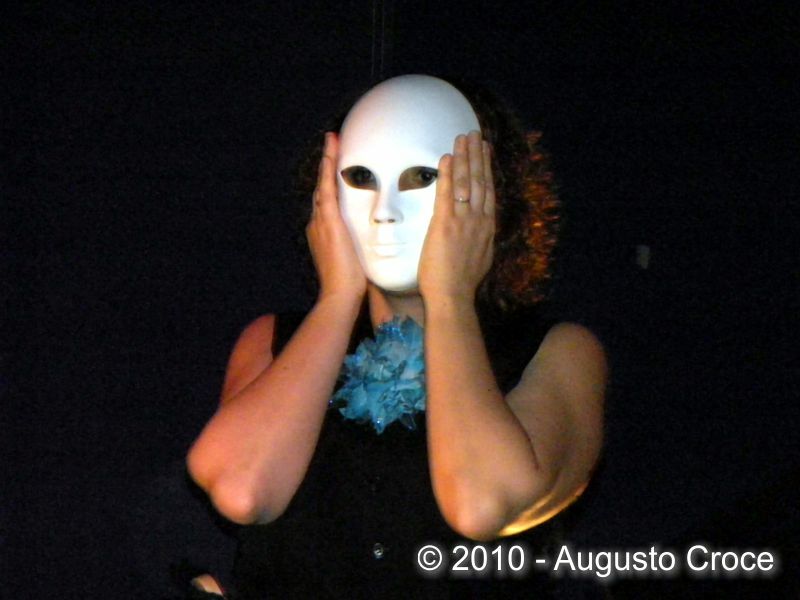 1 minute less) version of L'amico suicida. This has been corrected in the 35th anniversary CD reissue produced by AMS in 2009. Even the vinyl reissues from 2005 and 2011 contain the shorter version of that track, while the unofficial white label 90's reissue has L'amico suicida in integral form. 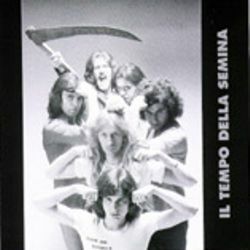 Second album Il tempo della semina was recorded in 1975 but, due to Trident label closing, it was never released until 1992 when it appeared on Mellow label, both on vinyl and CD. Later it was issued again many times with different artworks. 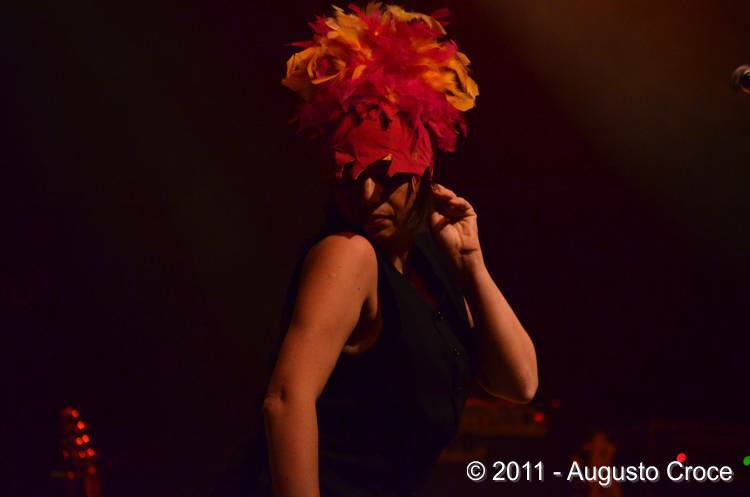 A single taken from the new album also planned for release on Trident was withdrawn and never officially issued. Promo copies are rumoured to exist. No foreign vinyl issues exist. A beautiful CD reissue on the Japanese Arcangelo label (ARC-7004) comes with a hard mini-LP cover. 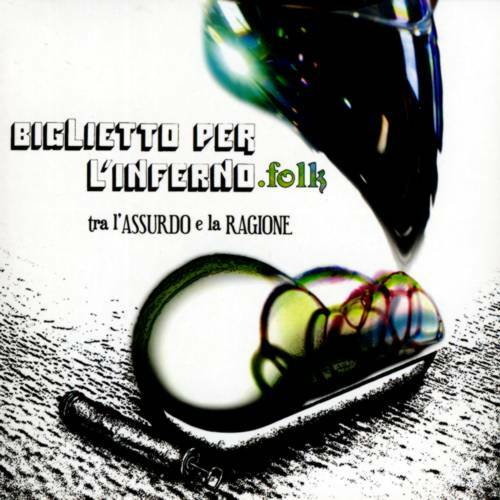 Also on CD, a single disc containing both Biglietto per l'Inferno and Il tempo della semina was issued in Russia in the Italy Progressive Rock series (RRCD-001/05) in 1999. 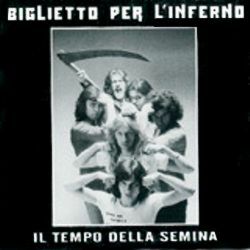 The recent Un Biglietto per l'Inferno box set released by BTF includes remastered versions of the 1974 first album and the posthumous Il tempo della semina, a 1974 live CD, a DVD including some video cuts of the band members along with a large book with the full history of the band, interviews and pictures. The live CD included in the box set has been put on sale separately, this time with a better mini-LP gatefold cover. 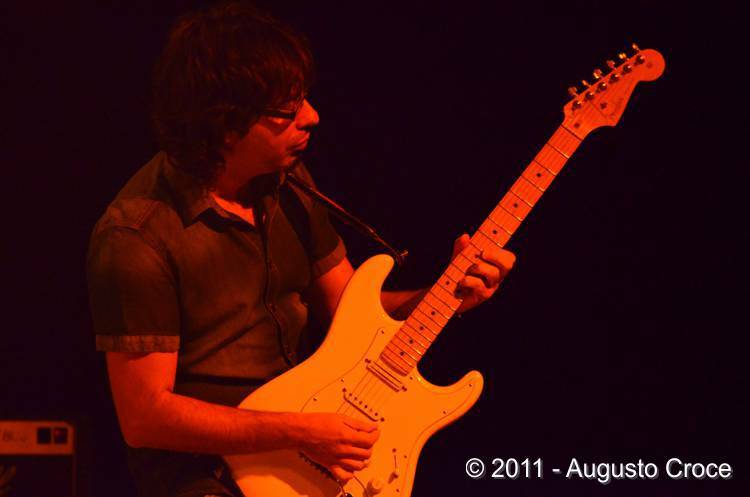 Thanks to Rocco Trezza, Juan Carlos Lopez and Mauro De Candia for some of the information included in this page.